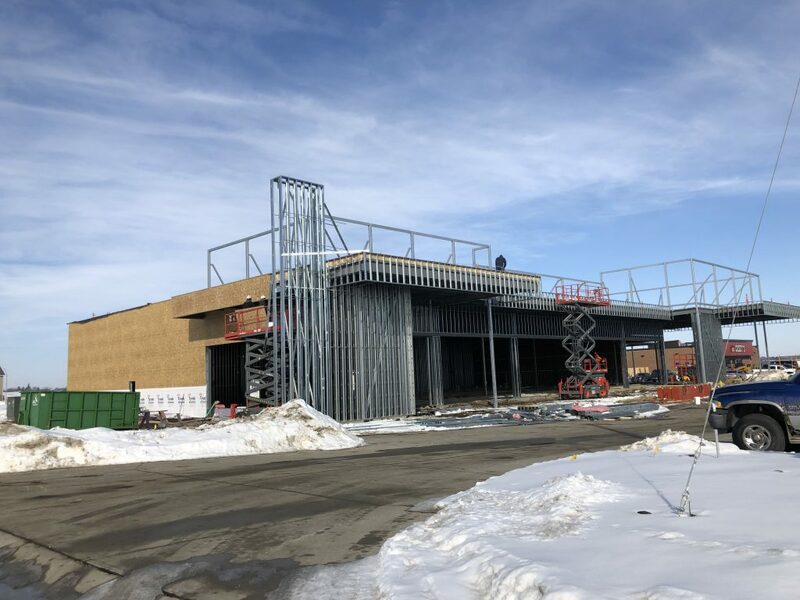 Earlier this year, “Under Construction” spotlighted the forthcoming Shoppes at Prairie Crossing, which is currently being built along Hickman Road, just west of the Waukee Hy-Vee. Construction on the development began in the fall of last year. 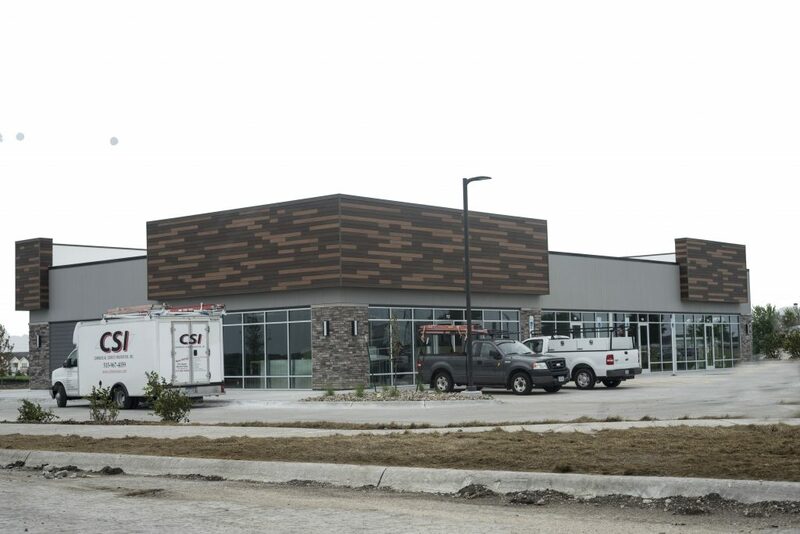 Now some of the businesses at the Shoppes are close to opening—one of which is Pancheros Mexican Grill, which will no doubt make Waukee residents very excited. The popular Tex-Mex chain, whose first location went up in Iowa City in 1992, has since expanded to more than 70 franchise locations across 14 states—the newest of which will soon be open in Waukee. According to Emma Seaman, marketing manager at Pancheros, the company identified Waukee as a potential franchise location seven to eight years ago. “The sense of community, growth and traffic caught our eye,” said Seaman. The company had been waiting for development to occur along that particular stretch of Hickman Road for several years, according to Rodney Anderson, founder and president of Pancheros. There were a few different parcels of land in which they saw potential, but they eventually determined the space at the Shoppes best fit their needs. The decision to sign the lease for that space was made last year. Pancheros will occupy approximately 2,600 of the 7,150 square feet at the Shoppes, according to Anderson. Great Clips, which has also signed a lease at the center, will occupy roughly 1,200 square feet. The prime location along a busy stretch of Hickman Road ensures that Pancheros will be difficult to miss—and resist. “We like the visibility and access to our space,” said Anderson. The location is set to open around August 1, 2018, so Waukee residents will soon be able to snag one of Pancheros’ signature “better built burritos” right in their own neighborhood. “We cannot wait to serve fresh, quality food,” said Seaman. We’re sure Waukee residents can’t wait, either. 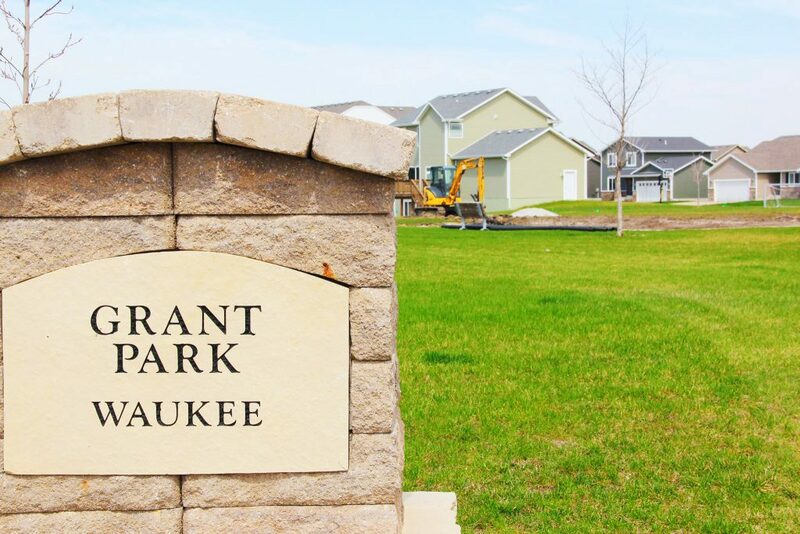 The newly remodeled and improved Grant Park in Waukee had almost all the elements and amenities of a perfect park—a soccer field and a half-court basketball area ready for friendly competition, picnic tables for snacks, walking paths and even restrooms alongside the new playground. The only thing missing from the 1.5-acre plot was a few big trees to provide shade on hot summer days. Unfortunately, trees don’t just magically appear in places like this. They need community champions to strategically coordinate and plant them. This is where the Kiwanis Club of Waukee saw a service opportunity. Nancy Cullen, currently serving as secretary of Kiwanis Club of Waukee, would often take her granddaughter to Ridge Pointe Park in her neighborhood. 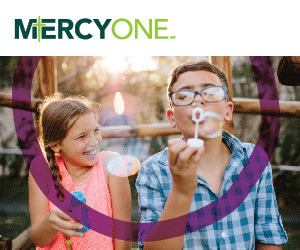 The 21-acre park is an oasis for children and adults alike with not just one, but two playgrounds, a sand volleyball court, pavilion, and even a “Little Free Library” for book sharing with other park visitors. 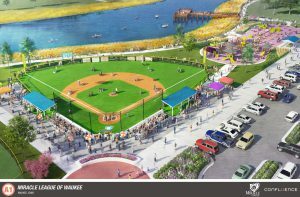 After the initial idea, the club reached out to the Waukee Parks and Recreation Department for assistance in selecting the park that was most in need of shade for its playground area, and they decided on Grant Park. The club then worked with the experts at Earl May to select the trees to be planted. “We chose two maples because they grow quickly, a pin oak for its beautiful leaves and tallness, and a flowering tree that will also provide some shade,” said Cullen. Earl May did the actual planting of the new trees, explained Cullen. Abel Shaw, president of Kiwanis Club of Waukee, said the decision to plant trees at a park was the largest financial commitment to any project they have done so far. One unintended consequence of the Kiwanis tree planting project was the inspiration and example it set for other organizations looking to give back to the community. Cullen added that the club has already voted to plant additional trees in the future. While the tree planting project was in the works, another club member, Laura Pleasance, and her husband planted trees—and added new playground equipment—at Ridge Pointe Park, in memory of their son. Tree planting was by no means the first service project the club has undertaken since its beginning in September 2013 as a chapter of Kiwanis International. Shaw said the club plans more involvement with the schools in Waukee in the future. “Kiwanis offers clubs for school-age kids as well, with Key Club being the largest. Clubs like these give kids an opportunity to learn leadership skills through service,” said Shaw. 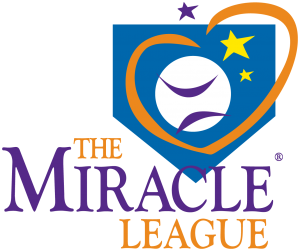 The Club’s service projects typically come about by members reaching out to the community to uncover its greatest needs. Shaw said the club is young and growing, and they’re now accepting new members. The Kiwanis Club of Waukee currently has 12 members and meets on the third Tuesday of every month at 6 p.m. inside the wine tasting meeting room at the Waukee Hy-Vee. Kiwanis International, as a whole, has close to nearly 600,000 members and raises hundreds of millions of dollars and dedicates millions of volunteer hours toward initiatives that specifically serve chapter communities and children. For more information, visit the club’s website at http://waukeekiwanis.org or search Facebook for Kiwanis Waukee. Bring up Waukee at any work or a dinner party and what you’ll hear most often is amazement at its explosive growth. Everywhere you turn in the city, you’ll find new construction of homes and storefronts and an endless expansion of quality amenities. Waukee is ascending toward the vision that General Lewis Addison and Major William Ragan had when they laid the first cornerstone of the city on April 30, 1869. Little did these founders—or the area’s coal mining community that developed in the late 1800’s—know that Waukee would develop into the bustling city it is today. 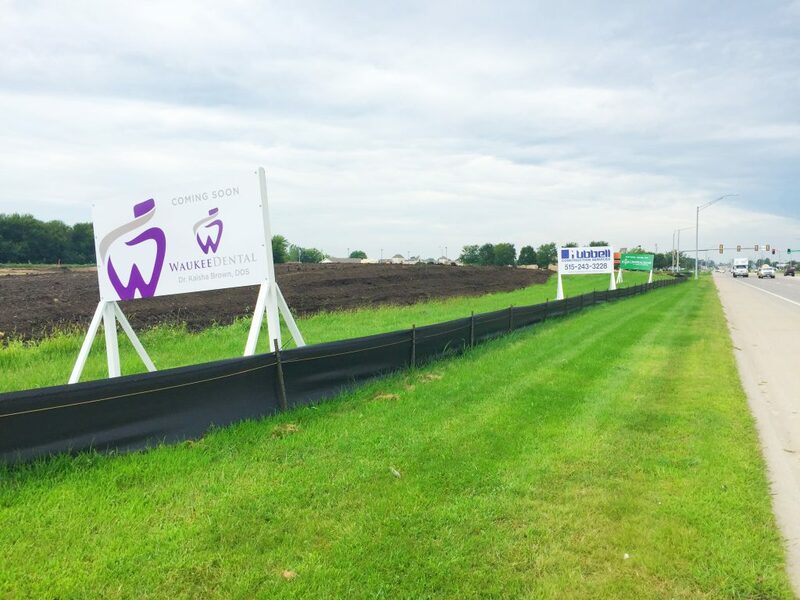 What Waukee’s leaders and citizens see today is not just expansion, but exceptional residential growth, and they have a record number of granted permits to prove it. 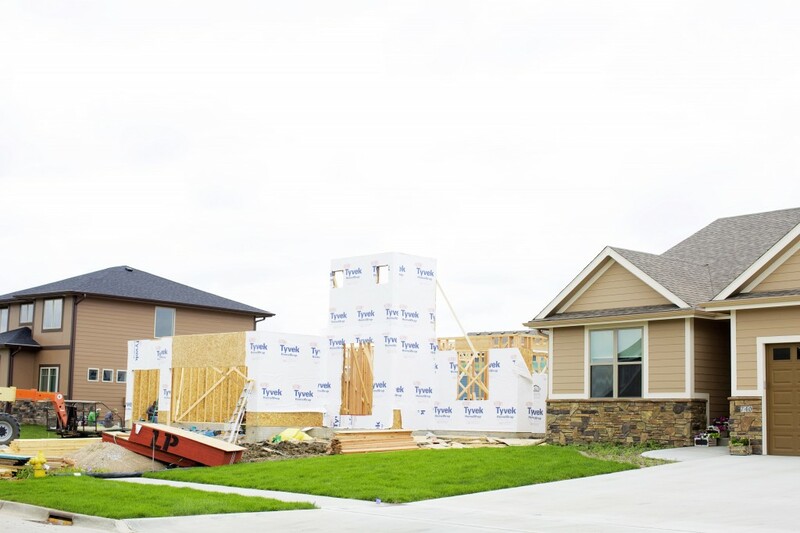 For the third year in a row, the City of Waukee Development Services Department issued building permits in record numbers. In total, the department issued 1,054 building permits from July 1, 2015 through June 30, 2016. The majority of the permits were for smaller projects that fall within the “other” category, such as a new deck or a home addition. The second-highest number of permits (354) was issued for single-family houses. That’s about one new house built for every day of the city’s fiscal year. At the time of interview, 74 Shadow Creek Villas townhomes and 241 single-family lots are currently being platted or surveyed to identify boundaries and important building components such as easements and flood zones. The Glynn Village subdivision comprises over half of the single-family lots to be developed in addition to Fox Creek Estates, Kettlestone Ridge and The Landing at Shadow Creek. The rest of the permits issued by the City of Waukee this year included 172 for townhomes, 38 for commercial (business) use, and six for multi-family housing. Dallas County, in which Waukee resides, is the fastest growing county in the state of Iowa and the 13th fastest-growing county in the U.S. among counties with a population larger than 10,000. That growth is seen in population numbers. The results of a Special Census conducted in the fall of 2015 indicate a population of 17,945. That means 4,155 new residents have moved in since the 2010 Census, which equates to a 30 percent overall increase in residential growth since 2010. For reference, Waukee’s population just over a decade ago, in 2005, was 9,108. Residential housing has not just increased over the years, but the way in which housing is built has progressed. City of Waukee Development Services Director Brad Deets offered some insight on the trend. $180.8 million, which exceeds the $131 million valuation of the 815 permits issued in fiscal year 2015. For Deets, the increase in residential properties comes with an increase in demand for services, as well as an increase in tax revenue. 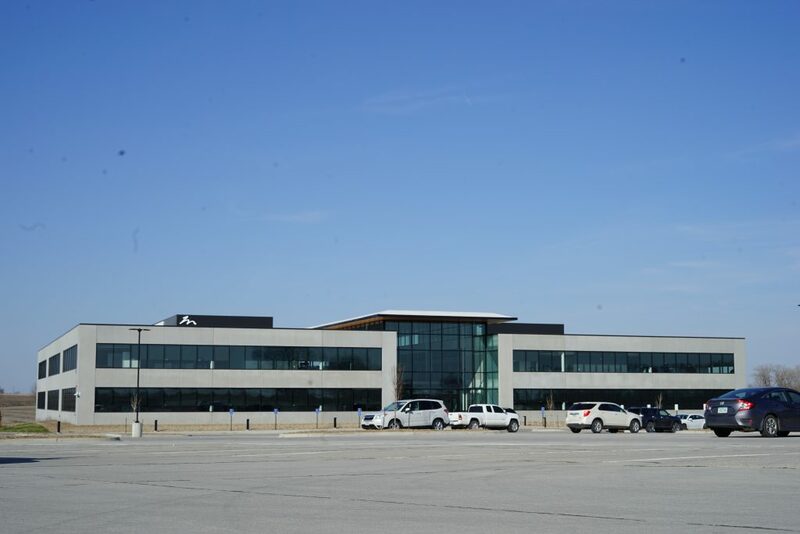 Over the last year, Waukee saw $9.4 million in commercial developments. 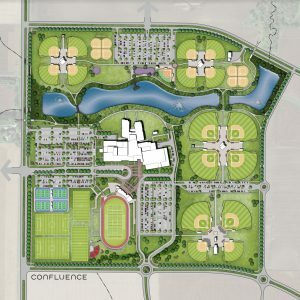 The largest of these projects included The Goddard School, Waukee Community School District Transportation and Logistics Center, Central Plaza, a new Kum & Go, Storage Masters and Traditions Daycare. If you live, work or play in Waukee, it’s not hard to answer the question, “Why Waukee?” Bill Peard, who has served as the Mayor of Waukee for a decade, put it best in a press release, citing “desirable quality of life, sense of community and availability of developable land” as the key reasons behind the increase in prosperity and population. 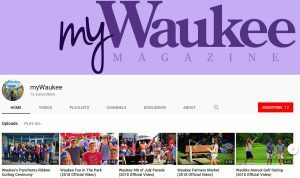 “There are multiple reasons people choose Waukee as their home—the small-town feel, the great schools, the world-class amenities, and so on,” said Peard. He also added that the community is incredibly family-focused, evidenced by the number of events and festivals with kid-friendly elements. From enterprising young professionals who share a residence, to two-income households who reside in a single-family home, to retired couples who invest in a townhome, Waukee offers a piece of the modern American Dream. “The city has a lot to offer in terms of housing types, from those for first-time homebuyers to executive-style lots,” said Deets. Waukee is representative of how expansive residential growth sparks necessary building to meet the demands of enrollment numbers. Anticipated student enrollment in Waukee is roughly 9,497 students for the 2016-17 schoolyear, which is a far cry from the 2,409 students enrolled in the district in 2000. A total of 1,493 new students entered Waukee schools for the 2014-15 school year, of which 624 students were in first grade or older. 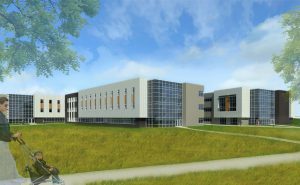 The Waukee Public School District currently operates eight elementary schools, including the brand-new Grant Ragan Elementary, which is opening for the 2016-17 school year. These elementary schools condense into two middle schools (Waukee Middle School and Waukee South Middle School), two ninth-grade-only buildings (Prairieview and Timberline) and one high school. 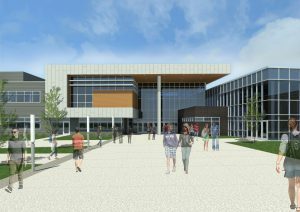 A second high school is slated to open in the fall of 2021, in northwest Waukee. 10 through 12 will be around 2,200. Waukee High School’s 2016 graduating class was approximately 550 students, according to Wilkerson, which compares to the elementary school grade classes which each have 800 students spread across the district. Even though an eighth elementary school was just opened in the district, a ninth school has been approved following a May 9, 2016 land purchase agreement. The ninth elementary school will be located west of Alice’s Road, between Waterford and Meredith, and is expected to open in the fall of 2019. 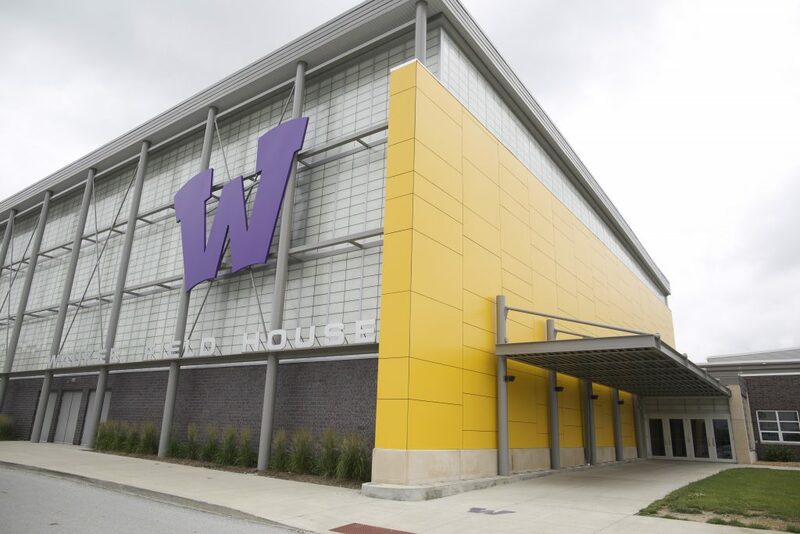 In addition to the new elementary school and high school, the Waukee Innovation and Learning Center (WILC) opened for the start of the 2016-17 schoolyear. WILC cultivates the education experience for Waukee High School students in the Aspiring Professional Experience (APEX) program. The program combines business and education to further personalize the individual student’s curriculum to include studies in five core subject areas: Business & Finance, Engineering, Technology, Health Services, and Biosciences & Added-Value Agriculture. 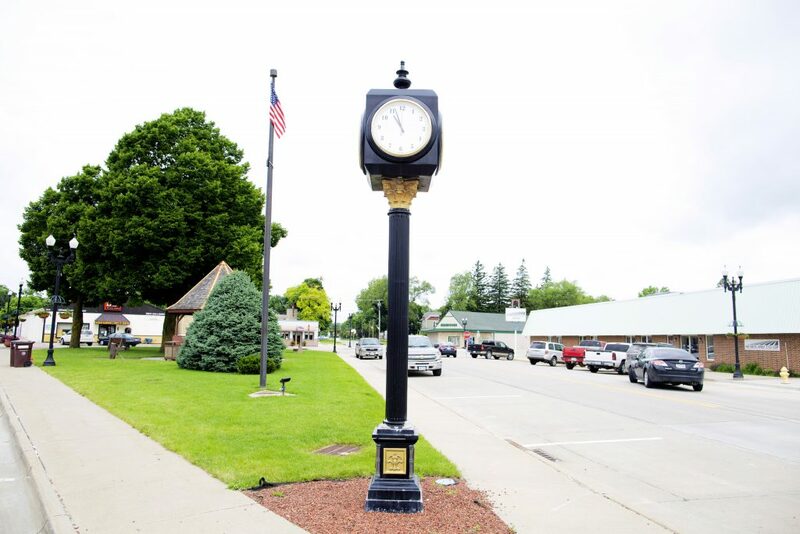 “We continue to invest in improving roads and other infrastructure, upgrading parks and trails, building our public safety departments and bringing in more business development,” said Mayor Peard. With the population expected to grow to over 30,000 by 2030, Waukee is definitely on the precipice of even more visible change. Deets expects the population growth to continue at a “fairly substantial rate” over the coming several years, which means it’s in the city’s best interest to get out in front of any potential issues. “The city is being proactive in extending infrastructure, such as sanitary sewer and streets, to allow developments to occur,” Deets explained, in addition to the stormwater and park additions that are planned. Multiple road expansions—like the widening of Alice’s Road between University Avenue and Highway 5—and maintenance projects are either in the city’s long-term plans or currently in construction. Mayor Peard said that as an elected official, maintaining citizens’ quality of life is a high priority. And, as the number of residents increases in a city that has been named the “Safest place in Iowa” (Movoto, 2014 and 2015), “Number One Best City for Homeownership in Iowa” (NerdWallet, 2014), and one of the “Best Places to Live in America” (CNN, 2013), that focus on quality is going to be even more essential. Waukee residents are clearly no strangers to new developments, but new properties still bring a twinge of excitement, as they provide fresh places to shop, work, live and play in Waukee and the surrounding area. 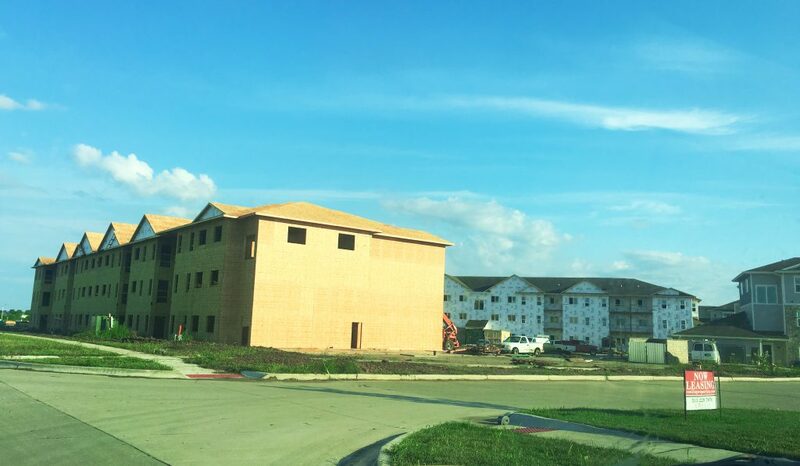 The brand-new Autumn Ridge apartments will do just that, as the high-end units are expected to be snatched up by renters eager to experience the Waukee lifestyle. 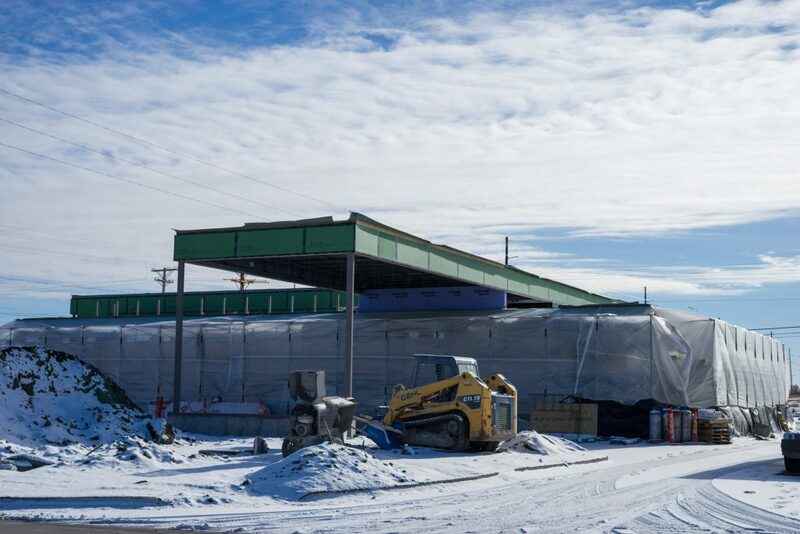 Located at 1150 SE Olson Drive, the 434 units in 13 buildings will feature tiled backsplashes, birch cabinets, quartz countertops, hard surface flooring in the living areas and carpeted bedrooms. Units won’t be lacking for appliances either; each unit will come equipped with a washer and dryer, dishwasher, microwave, stove and refrigerator. Residents are likely to make good use of the unit patios, fiber optic cable internet service and 50-inch wall-mounted LED TVs. Parking will be a mix of heated indoor parking and outdoor spaces. The development will also have a community clubhouse with a rentable party room, a fitness center, an L-shaped pool and free WiFi. 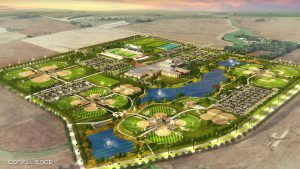 A basketball court, playground and dog park will also be in the surrounding vicinity. Security was also taken into consideration, as all of the buildings will have secured entrances equipped with security cameras. 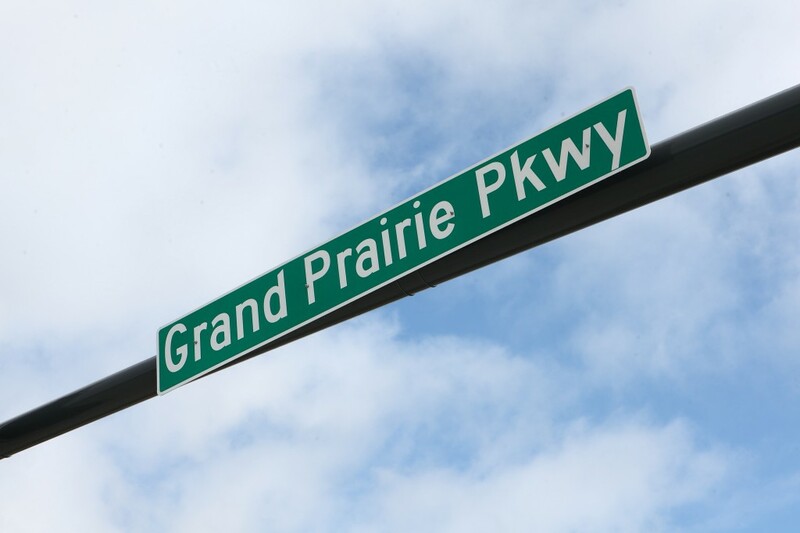 Autumn Ridge is jointly developed by Kimberley Development and Classic Builders and sits at a strategic location ripe for development to the north of the 1,500-acre Kettlestone development that is to be built around Grand Prairie Parkway (formerly Alice’s Road). Josh Moulton, one of the co-owners of Autumn Ridge, LLC, said the Autumn Ridge apartments are currently available for rent, but they are permitted and built in such a way that they could be sold as condos in the future. At the time of interview, 56 units were occupied, and units in the first six (north) buildings are being made available in batches—36 new units will be available in September, and again in November, and again in both January and March of 2017. The final phase of building is expected to be complete in 2018. One-bedroom, one-bath units at 845 sq. ft.
Two-bedroom, two-bath units at 965 sq. ft.
Three-bedroom, two-bath units at 1,217 sq. ft. or 1,307 sq. ft.
Pricing will start at $950 for the one-bedrooms and go up to $1350 per month for the largest three-bedroom apartments.